by Brianna Crandall — March 18, 2019 — Office companies alstria, COIMA RES, Colonial, Gecina, Great Portland Estates and NSI in recent months conducted a full pan-European focus group analysis to better understand the future of the modern office building from an end-user’s point of view. Considering the ever-increasing importance of understanding how the needs of the users of office buildings are evolving, the six REITs decided in the second half of 2018 on an innovative approach, usually applied to the consumer goods industry. A number of focus groups, comprising selected office users, were asked to share their vision of the future of the modern office building. This analysis is reportedly a first for the European office real estate industry. Sociological: The role of the company office will evolve to respond to workers’ needs to have meetings, collaborate, socialize and feel fulfilled at work. Environmental: In the future, employees will be much more demanding and much more questioning in terms of what a potential employer will be doing to tackle climate change. Technological: Artificial intelligence (AI), Big Data, robotics and hyper connectivity will affect the way people work and connect as well as the organization within companies. The focus groups were conducted among a population of both younger and more experienced professionals working in traditional offices or flexible working spaces throughout urban locations in Europe. According to Gecina, there was not a significant difference between the visions of various age groups. Office end-users were recruited among the whole market — not just among the 6 REITs’ clients. Their opinions reflect their own views. The main outcome of the detailed information and data that has been gathered through the focus groups is that listed companies to a large extent are already designing and offering to the market the buildings of 2030. However, we need to maintain our innovation pace and continue to offer best-in-class products to our clients if we want to stay ahead of the game. Our end-users have a very strong and clear view of their needs and what they expect their workspace to look like by 2030. By listening directly to them without intermediaries, we have gathered very strong insights about the likely evolution of our market. It is clear that offices are more than ever the preferred choice for our end-users. Despite the technology, the need to meet, to share and interact within a dedicated space, in the most central locations, is growing, but “co-working” is not the only emerging subject — there are other revolutions. alstria, COIMA RES, Colonial, Gecina, Great Portland Estates and NSI created a think tank in December 2017 aiming to group together the sustainability and innovation best practices of the six European REITs and to selectively conduct joint research. 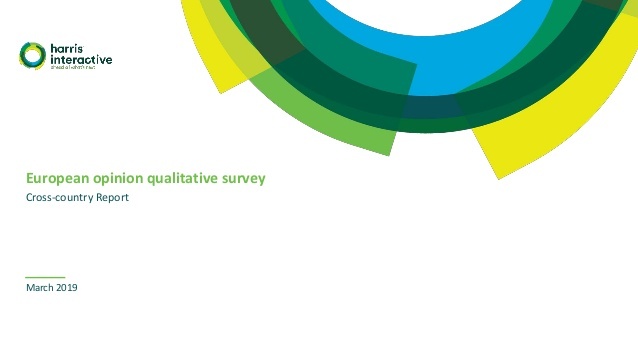 A summary of the European opinion qualitative survey is available on the Gecina website. Find out how new approaches from tech companies and coworking-space providers are forcing companies to rethink office-space strategies August 24, 2018 In "Surveys and Trends"
Find out how flexible office space could improve your building’s value, in this CBRE report; also, trends for medical office buildings and warehouses February 22, 2019 In "Surveys and Trends"
Which types of FM solutions and services are used the most around the world? See what this research found July 20, 2018 In "Surveys and Trends"